I am a Lecturer in the Department of International Politics at City, University of London. I was previously a Postdoctoral Fellow at the Dickey Center for International Understanding at Dartmouth College. Beforehand I was a Stanton Nuclear Security Postdoctoral Fellow at the Massachusetts Institute of Technology's Security Studies Program. In May 2014, I completed my doctorate in the Department of Politics at Princeton University. My research addresses issues in American foreign policy, alliance politics, nuclear strategy, and theories of war. I have so far published in Security Studies, Survival, International Affairs, International Theory, and elsewhere. I have done work on East Asia but my primary regional focus is on East Central Europe. Lanoszka, , Yarhi-Milo, K. and Cooper, Z. (2017). How can Donald Trump reassure nervous U.S. allies? By giving them weapons. The Monkey Cage. Lanoszka, Trumped Up Alliances? E-International Relations. Lanoszka, and Hunzeker, M.A. Insurgency and Deterrence on NATO's Northeastern Flank. Modern War Institute. Lanoszka, A. (2017). Goodbye to all that? Institutionalist theory, U.S. alliances, and Donald Trump. Contemporary Security Policy, 38(1), pp. 41–46. doi:10.1080/13523260.2016.1268031 . 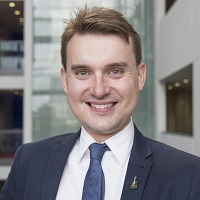 Lanoszka, (2016). How Russia 'Does' and Understands Deterrence in the 21st Century. Ares & Athena, (7), pp. 12–13. Yarhi-Milo, K., Lanoszka, A. and Cooper, Z. (2016). To arm or to ally? The patron's dilemma and the strategic logic of arms transfers and alliances. International Security, 41(2), pp. 90–139. doi:10.1162/ISEC_a_00250 . Lanoszka, A. and Hunzeker, M.A. (2016). Confronting the anti-access/area denial and precision strike challenge in the Baltic region. RUSI Journal, 161(5), pp. 12–18. doi:10.1080/03071847.2016.1253367 . Lanoszka, and Hunzeker, M. (2016). Landpower and American Credibility. Parameters: the United States army's senior professional journal, 45(4), pp. 17–26. Lanoszka, A. (2016). Russian hybrid warfare and extended deterrence in eastern Europe. International Affairs, 92(1), pp. 175–195. doi:10.1111/1468-2346.12509 . Lanoszka, A. and Hunzeker, M.A. (2015). Rage of honor: Entente indignation and the lost chance for peace in the first world war. Security Studies, 24(4), pp. 662–695. doi:10.1080/09636412.2015.1103135 . Lanoszka, A. (2015). Do allies really free ride? Survival, 57(3), pp. 133–152. doi:10.1080/00396338.2015.1046229 . Lanoszka, A. (2013). Beyond consent and coercion: Using republican political theory to understand international hierarchies. International Theory, 5(3), pp. 382–413. doi:10.1017/S1752971913000249 . Lanoszka, Western Intelligence and Counter-intelligence in a Time of Russian Disinformation. Institute for European Studies.